Samsung showed Samsung Wallet at the Mobile World Congress in Barcelona. 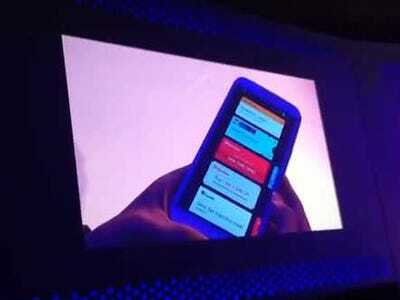 Samsung announced a new app called Samsung Wallet that stores your gift cards, boarding passes, tickets, etc. on your smartphone.It’s remarkably similar to Apple’s Passbook app that launched on iPhone last fall. Samsung Wallet can also send users location or time-sensitive updates to remind them of upcoming flights or events stored in the app, another feature found in Apple’s Passbook. Even the layout of Samsung Wallet looks similar to the one in Passbook. The app isn’t out yet, but Samsung is courting developers to start integrating their apps and services with Wallet. We’re guessing Wallet will be a new feature in the Galaxy S IV smartphone that Samsung will announce at a big press event in New York on March 14.